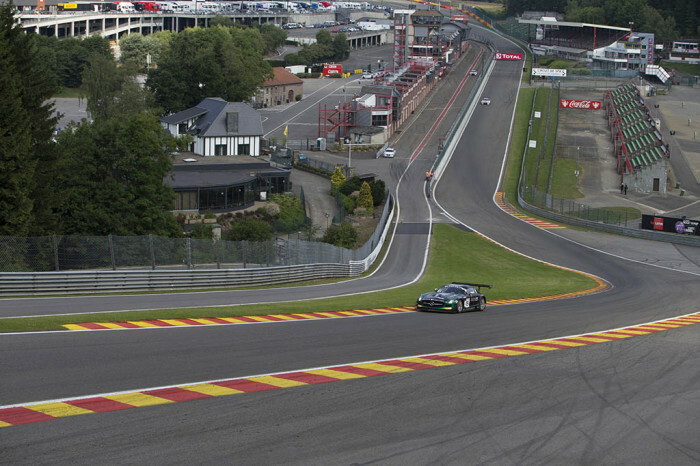 Spa Francorchamps is famous as the driver’s favorite, and with good reason. With fast corners flowing through and over the wood lined Ardennes hills, each lap is a thrill. At the last weekend of July the track stages one of the toughest endurance races on earth. The 24 Hours of Spa. For the 65th running of the Total Spa 24 Hours, Black Flacon arrived with two very strong driver lineups on their SLS AMG GT3’s looking to take the top honors in the Pro Am class. With start number 18 and 19, driving the two SLS Gullwing race cars, the regular driver trip of Klaas Hummel, Steve Jans and Adam Christodoulou were joined on car 18 by AMG driver Thomas Jäger. On car 19, season regular Andrii Lebed started the race with three new teammates. Francesco Castellacci, Sergei Afanasiev and Andreas Simonsen joined the car 19, making it, alongside the sister 18 car, one of the hot favorites in the class. Going into the weekend having shown a strong potential at the previous round in Paul Ricard, where Adam Christodoulou brilliantly took pole position in the Pro Am Class, the team set themselves their first goal to have both cars qualify in the top 20 in order to take part in Friday’s Superpole qualifying shoot out. For Thomas Jäger in car 18 this turned into something of a formality, breezing into the superpole with the 6th fastest time on Thursday. For the young Swede, Andreas Simonsen in car 19, things were not going so well. Despite showing he had the car and the skills to also land the car in the superpole session, a fan belt issue in the practice session meant the car was not ready for the daylight qualifying session on Thursday. The team worked with speed to prepare the car for ‘Q2′, however this was in the dark and though the upcoming star from FIA GT and GT Masters drove some supreme times in the dark, with a combination of slow traffic and the lack of good light, the time needed was just out of reach. Fast-forward to Friday and the team have a sole SLS in the top 20 shootout, ‘Superpole’. One of only two SLS from the five entered. With a best time of 2.22.357, Thomas was not able to hook up the same speed as the day before, a problem related to the tyre pressures just creeping up a bit too high. However, good enough to start from 14th overall. 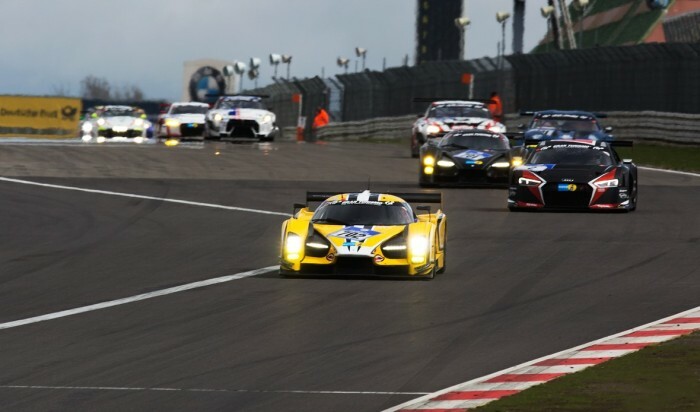 With the race starting at 1630 on a hot Saturday afternoon at the Spa circuit, Thomas Jäger and Andreas Simonsen started the race in cars 18 and 19 respectively. Despite a spinning Ferrari in the first corner that miraculously recovered without damage the start of the race was without incident until a safety car at the 30-minute marker. After a great first stint from Simonsen where we drove the SLS from 49th on the grid to a brilliant 14th before handing over to Francesco Castellacci and then to Andrii Lebed for his first obligatory stint of the 6hours he must make as the sole Bronze driver. Things were looking good, the car was fast and running well, but sadly for Andrii he was soon to become the victim of a small accident, which sent him deep in to the gravel and sideways into the tyre wall. Thankfully the SLS is strong, but the car would still need repairs, which ultimately would put this high potential driver pairing out of contention. Several laps would be lost in the pits on two occasions making repairs to the stricken SLS. A great shame for all those involved. 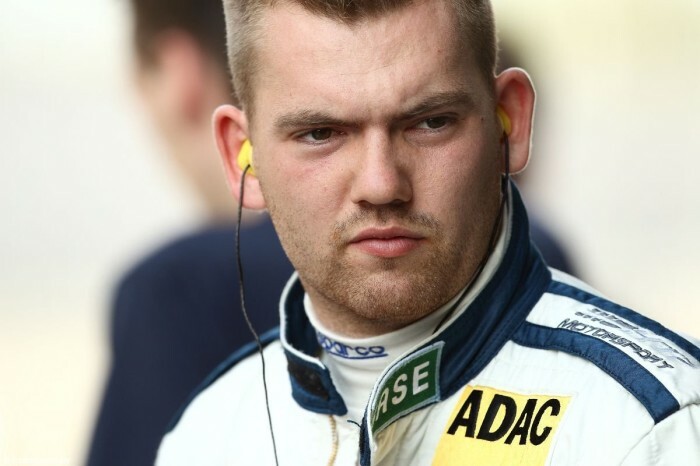 On car 18, having pitted from 5th overall after the first two stints by Thomas, Klaas Hummel was in the car making the first of his obligatory Bronze stints. Klaas enjoying the SLS on his favorite Spa circuit and soon making fast lap times to keep the number 18 car at the front of the field. Unfortunately, Klaas would also become the victim of a sill on track encounter, as another car would lunge down the inside, pushing Klaas into a spin and leaving him facing the wrong way in the middle of the track. A dangerous situation of which he managed to escape from relatively unscathed. Or so we had thought. At the next stop, the team saw there was damage to the right front, which would require the car to be moved into the pit and some fast repairs to take place. Sadly dropping the car to 38th place, but with plenty of time to fight back. Throughout the night Adam Christodoulou and Steve Jans put in some stunning performances, including a fantastic stint in the wet on slicks from Jans, the young driver from Luxembourg, and when dawn broke and Klaas took over the wheel for the sunrise, they were back inside the top 20. Klaas taking the car further forward and handing the car over in 18th place. The race was now on to fight for that podium place. With a brace of Ferrari’s and one Nissan taking all the ten places in class ahead of them, the drivers of car 18 knuckled down and one by one started to creep there way up the field. Each pit stop was key to the advancement and the team winning vital chunks of time from their competitors at each stop. Alas, in the end 24 hours was just not enough to catch that final podium spot. A great fight back by the whole team and car 18 managed to claw its way up to a respectable 8th overall in this hardest of endurance races and 4th in the Pro Am class. A great job from all involved, just a shame for some of the early mistakes. 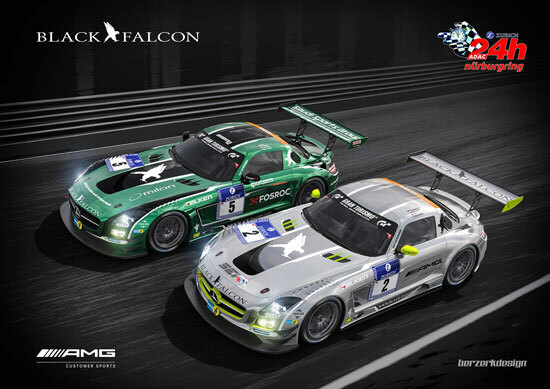 Both cars ran the race without fault, a testament to the team Black Falcon, its mechanics and to AMG. Much learned, much enjoyed and many things to look forward to and improve upon for 2014! Thanks to the whole team and all the drivers for a stellar job.